The experts at Buckingham Manufacturing have a reputation for durable, high quality equipment. 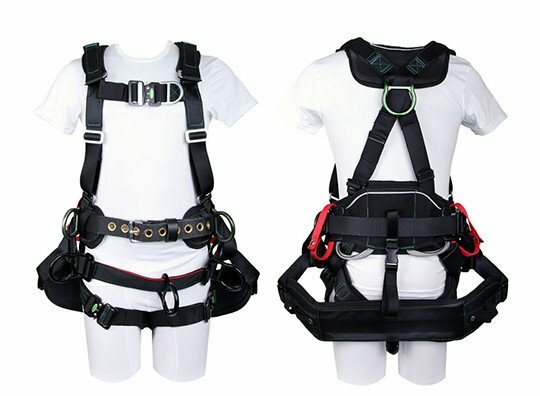 The Bucktech is a harness built for tower workers by tower workers with details that will keep you comfortable all day long. 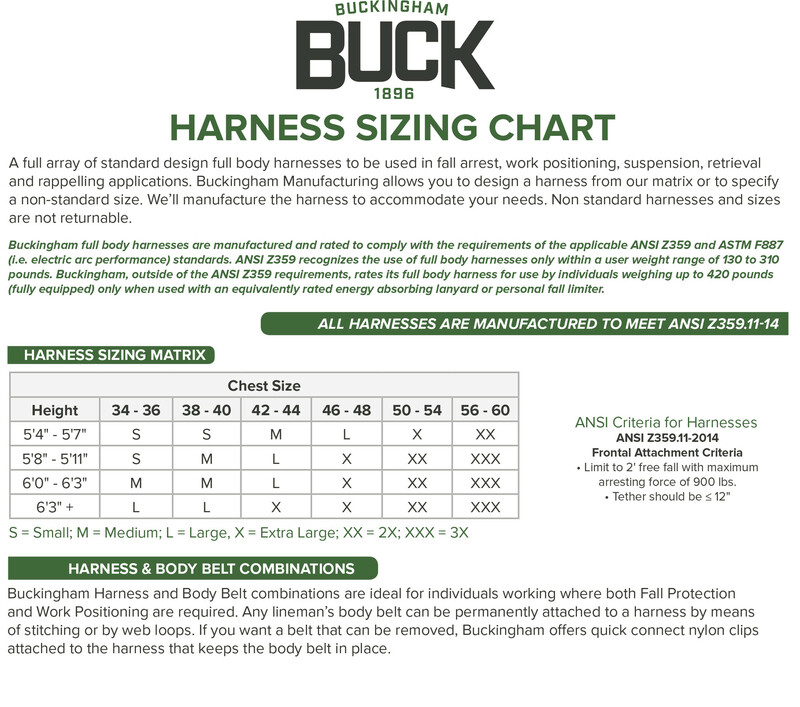 The BuckTech™ Tower Harness features a low profile sternal dee ring for use with mobile fall arrestors and rope grabs. The chest strap adjustment buckles allow user to properly position sternal dee ring and prevent it from sliding up during a fall. Aluminum hip and seat dee rings reduce overall weight. The adjustable shoulder straps allow for proper positioning of rear dorsal dee ring. Quick connect chest and leg strap buckles make this harness a breeze to don. The belt strap can easily be removed to add tool or bolt bags. In addition, the BuckTech™ Tower Harness also features a fully adjustable, removable, padded batten seat. The dual breakaway loops at waist level provide storage for lanyard hooks when not in use. Storage for gear and tools is also located on the rear gear loops. The shoulders are padded, and Lumbar support is provided for superior all day comfort.